Being part of the Florentine Artisans, in our workshop we restore antique objects as well as creating new designs of frames. 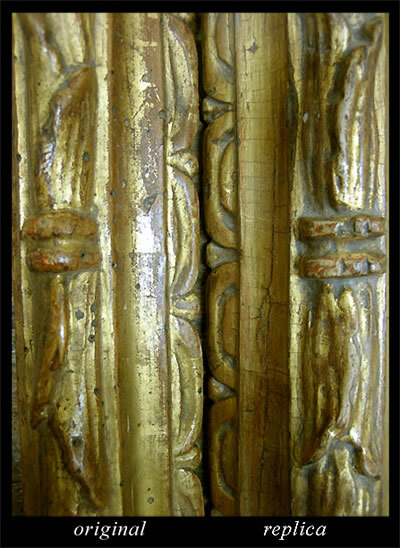 We use sophisticated techniques of restoration in order to recuperate important artefacts.We work with gold leaf applied on a particular surface giving the effect of a craquelè. Also the gold patina is of major importance; a special coverage, which is applied and then patiently removed. This long process of various phases requires dedication, competence and a long experience of work. 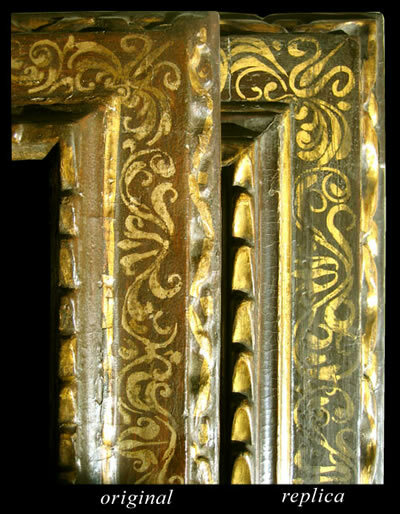 These specific techniques of gilding give an almost realistic, close to perfection result of being. 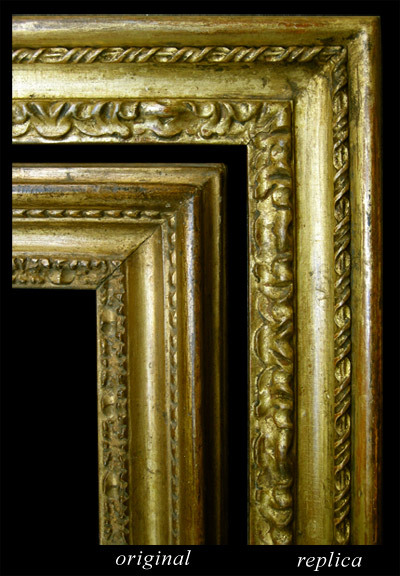 Our frames are made by creating original and traditional methods after a long and thorough workmanship (ca. 40 hours per frame). Each minimum detail corresponds to the Original in Patina and Craquelè. Our frames are created in a traditional manner in every precise detail. The original characteristics of both the Patina and Craquelè of the antique frame are always respected in our Atelier workshop.